Slides may be shared and carried over to another day. Admission and StayWet Passes are controlled with Tyvek Wristbands. No Wristband, No Entry. Wristbands are only valid for the day on which it is bought and cannot be transferred to someone else. Entrance will be denied if the wristband is damaged or tampered with. The amount of slides you buy are controlled with elastic rubber bands. Rubber bands can be used on any day and are only valid with an Admission Wristband. Our Season Passes give you the Best Value for Your Money. 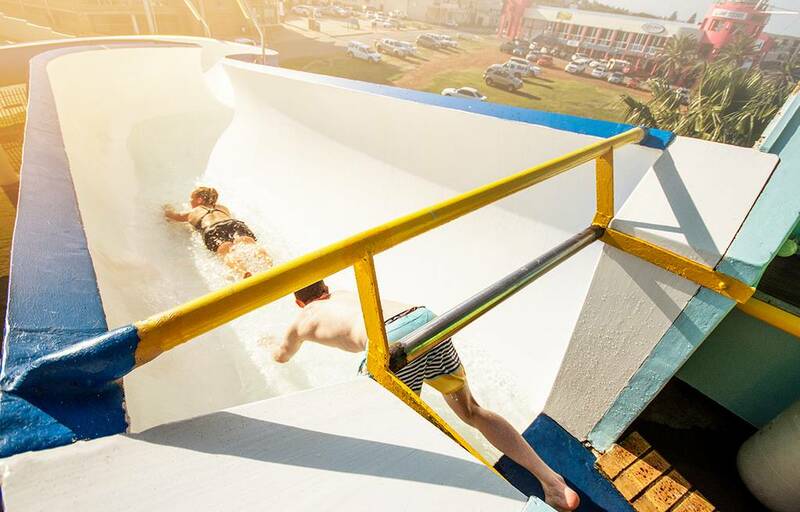 Unlimited sliding between 9:00 and 17:00 daily. Unlimited number of daily visits. 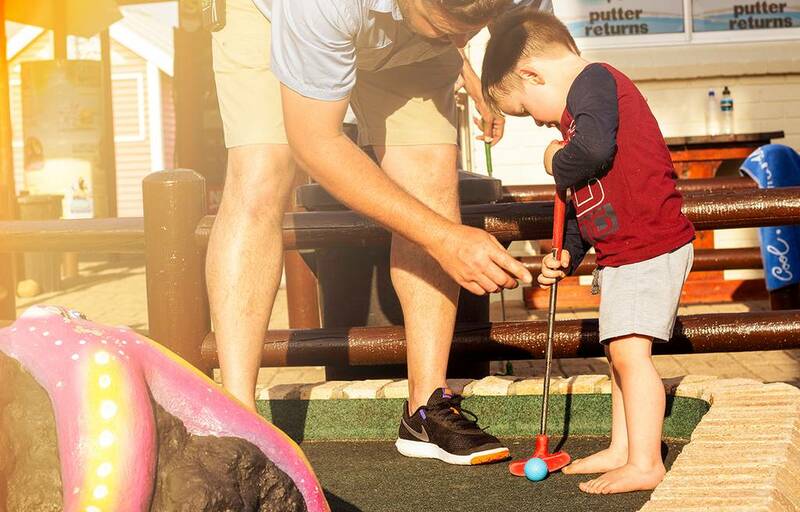 Includes 1x FREE Game Mini Golf per daily visit. Valid between 1 October to 30 April. One FREE Supervising Mom/Dad Admission Pass per visit. One Bubble Trouble Session per event night. How to buy a Season pass and How does it work? You have to visit our ticket office to purchase a Season Pass. Online sales are not available yet. The Pass Holder must be present when buying the Pass. A head and shoulders photo will be taken of the Pass holder and stored on our database for verification puposes. The Pass holder is issued with a bar-coded card which needs to be presented before each visit. Once the holder is verified on the system he/she will receive a wristband that needs to be worn during the full lenght of the visit for the day. This wristband will allow him/her unlimited sliding until 17:00 daily. For each Pass Holder, one supervising Adult my enter Free of charge, but still have to report at the ticket office. Any person may leave and come back during the day as long as the wristband is not removed. This Pass is only valid on Saturdays, Sundays and during State School Holidays until the expiry date printed on the card attached. This Pass is NOT VALID AT GROUP OR BIRTHDAY EVENTS. This Pass can only be used by one person and CAN NOT BE TRANSFERRED to another person. A photo of the pass holder is captured by the issuer and stored on an electronic database. 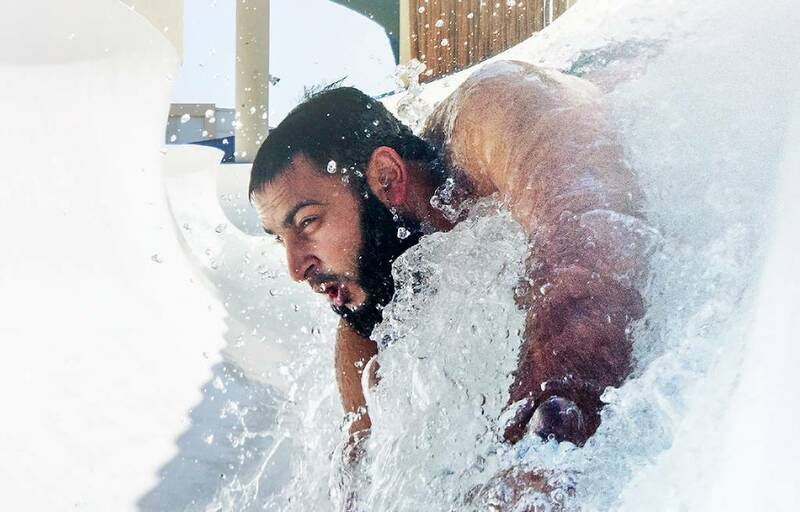 You must present the Pass to receive a wristband which must be worn at all times during your visit, it will allow you unlimited slides and admission to the water slide during NORMAL OPERATING HOURS. You may use this pass for only ONE Session per Bubble Trouble evening. Children under 6 years MUST at all times be accompanied by a responsible person over 14 years of age. Dolphin Beach Entertainment is not responsible for lost/stolen Passes. However you will still be able to use this pass if you are identified with your ID photo on the database. 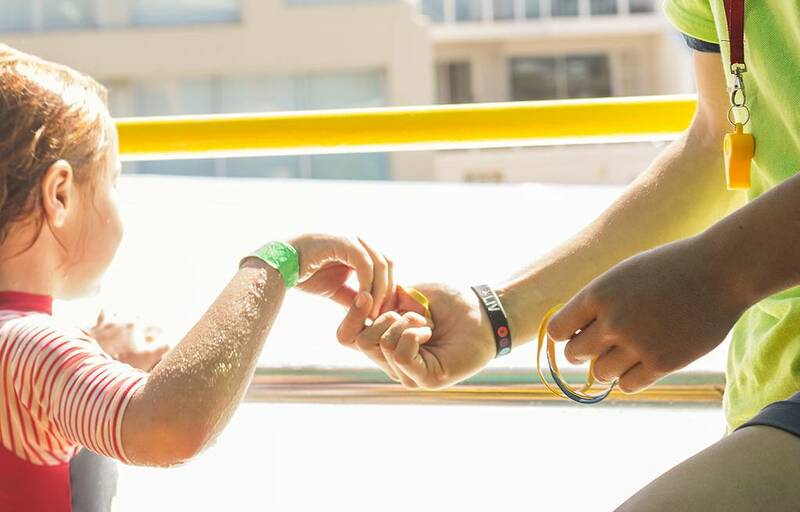 If your wristband comes off during the day you must request a new band from the ticket office. This Pass in not refundable and/or exchangeable. This Pass does not guarantee admission, as the park fills on a first come first serve basis. This Pass does not guarantee a specific number of slides per visit, especially during peak hours. Violations of Park Rules, Safety Procedures and Regulations. Assisting another person in any way to obtain unauthorized entry into the park. Any conduct deemed by the Management to interfere with the safety or enjoyment of other guests. Dolphin Beach Entertainment has a zero-tolerance policy regarding theft or attempted theft in the Park. Passes will be revoked without any refund, for attempting, committing or assisting in theft of any kind. Dolphin Beach Entertainment will prosecute regardless of age. 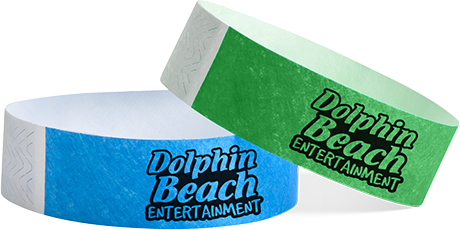 The use of this Pass is subject to the operating regulations of Dolphin Beach Entertainment. All hours are weather permitting and season bound and may change without prior notice. 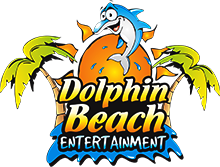 Dolphin Beach Entertainment will not be held responsible for any loss suffered due to the Water Slide not being operational due to natural disasters, weather, power outages, safety and/or technical reasons. ﻿Come and celebrate your birthday party with us or take your school group for an exciting outing. We have different packages available.